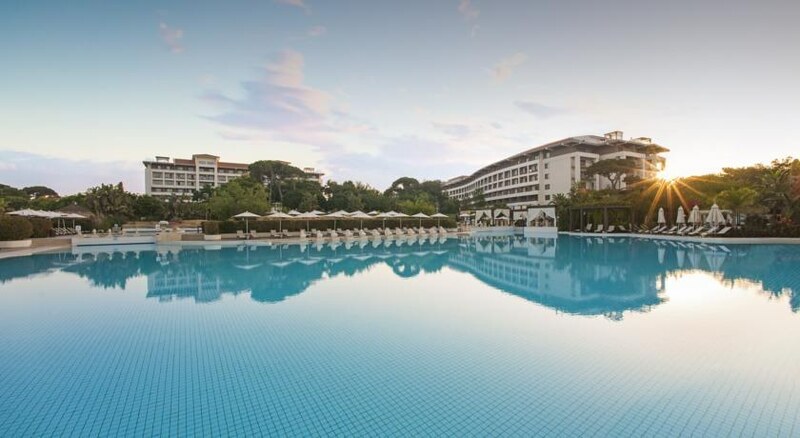 The resort is located on the Belek coast, 35 km from Antalya, one of the tourist capitals of Mediterranean. 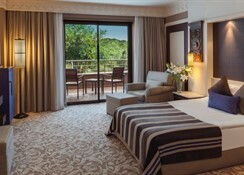 Belek city centre is a 10-minute walk from the hotel and Antalya Airport lies 25 km away. 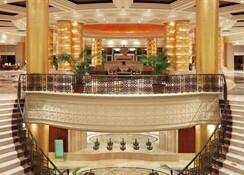 The hospitality in this 550-room hotel will provide guests with an unforgettable experience. Guests can enjoy a beautiful sunrise and, in the evening, watch as the sun sets amidst a beautiful orange sky. Built in 2007, the hotel is fully air-conditioned and features a lobby with a 24-hour reception desk and check-out service, a hotel safe, currency exchange facilities and a cloakroom. Lift access is available and the hotel offers various bars, restaurants, cafes and discos, as well as a hairdressing salon, an auditorium and a games room. Conference facilities are provided and WLAN Internet access can be used for an additional fee. Room and laundry services are provided (for a fee) and there is a car park and a kids' club. 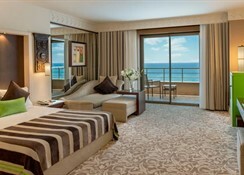 The standard rooms are located in the main building and each floor has been designed using different bright colours, combined with light and dark brown. 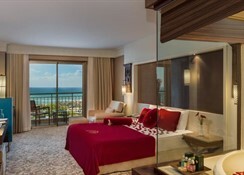 The standard rooms vary in size, ranging from 35 to 45 mÂ², and offer the choice of a land or sea view. Facilities include an en suite bathroom with a bathtub, WC and hairdryer, a direct dial telephone, LCD satellite TV, a minibar and a room safe. Internet access is available for a fee, the rooms are carpeted and centrally regulated air conditioning is provided. 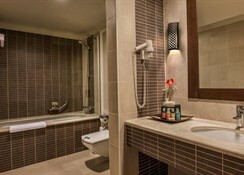 Each room includes a balcony and the hotel has 5 rooms with wheelchair access. The hotel has 7 Ã la carte restaurants and offers an all-inclusive deal.